Since many metro and light rail stations were built in the 20th century, lighting in many stations is conventional. That means that lighting with fluorescent lighting tubes and (incandescent) light bulbs is the norm. Incandescent light bulbs were the main type of lighting used in Europe before 1990. They are cheap to purchase but are also the most inefficient bulb compared to all other types of lighting; most incandescent light bulbs convert less than 5% of the energy they use into visible light (with the remaining energy being converted into heat). Since around 1990, compact fluorescent lamps (CFL) – also called energy-saving light – started to penetrate Europe’s consumer markets. Since then, this technology has been improving and CFL-lamps are nowadays more energy efficient and much smaller in size than the ones first developed. Compared to incandescent light bulbs emitting the same amount of visible light, CFLs use one-fifth to one-third the electricity, and last much longer. Metro and light rail stations have different types of lighting and use different lamps. In general, one can say that metro lighting needs more lighting power than lighting for the consumers’ market and that the heavier conventional fluorescent lighting tubes (also called fluo lights) are used more frequently than incandescent light bulbs. Nevertheless, the same mechanism counts: the newer and more expensive the lamp, the longer it lasts and the more energy-efficient it is. It is always wise to reassess the type of lamp you use and to make a decision on replacement based on efficiency and cost. The German operator moBiel operates the tram system in Bielefeld, which comprises of both over ground and underground stations. In 2010, moBiel replaced the existing T8 lamps with newer more efficient T5 lamps at station Hauptbahnhof. This reduced the energy use from 49,000 kWh to 26,000 kWh per year. The same amount of light is now given with 74 lamps (replacement every 4 years) instead of 115 lamps (replacement every 2 years). 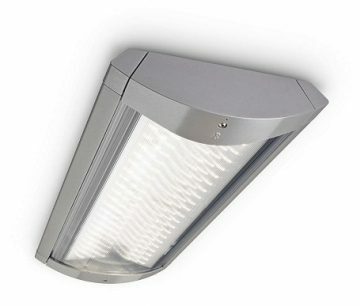 Reduction of energy costs and maintenance/replacement compensates very much the higher purchase price of the new lamps. A LED lamp (or LED light bulb) is a solid-state lamp that uses light-emitting diodes (LEDs) as the source of light. LED lighting made a commercial breakthrough around 2010 boasting longer lifespans and higher energy efficiency than conventional lights (incandescent light bulbs and fluorescent lighting tubes). Due to the technology of LED lighting being significantly more advanced than CFL-lamps, this is reflected in the higher initial costs. However, LED lighting is the most energy efficient light on the market, possessing the lowest maintenance costs. With a much longer lifespan than previous lighting units, LED lights will require fewer maintenance and replacement operations in the future, which considerably reduces waste. Fluorescent tubes must be replaced within 2 years while LEDs should last more than 5 years. Since the lifespan of LED lights is very long, it is considered by many experts as the most efficient and cost-effective commercial product for a multitude of lighting purposes. The Parisian operator RATP, operates an extensive transport network of metro and RER (rapid train). In 2012, RATP decided to install LED lighting on all metro and RER stations after a successful pilot in a metro station and the RATP headquarters. RATP consumes 2 to 3 times less energy for the same luminosity and for higher quality lighting. 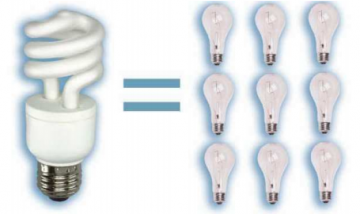 LEDs consume 5 times less energy than an incandescent lamp and theoretically last 25 to 50 times longer. DC-powered LEDs require less than 5 volts. Between 2013 and 2017, all 250,000 lamps (including fittings) in the 301 metro stations and 66 RER stations will be replaced with LED lighting. This will bring down energy use by 77 GWh per year which is equivalent to 6,000 tonnes of CO2. It will also make RATP’s metro system the first underground public transport network of its size which will be entirely equipped with LED lighting technology. type is highly applicable in light rail and metro due to its relative straightforwardness. This measure also improves the life cycle of the lights. 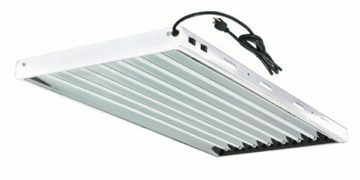 For LED lights however, applicability seems to be comparatively low at this moment. The technology is still relatively new which can make public transport operators hesitant to invest in this technology. LED lights are also expensive compared to alternatives, making installation and renewal costs high (which will be however compensated by lower electricity usage). One of the reasons of the high installation cost is that also the light fittings need to be replaced. Another aspect that needs to be considered is the influx of mass produced, but poor quality LED lights on the consumer market. For this reason, public transport operators need to research products on the market in order to select suitable LED lights. During the design phase, local building rules must be considered because the architect of the building might have a right to refuse the installation of lamps since this can be considered as an adjustment to the design. This can be prevented by explaining the positive benefits to the architect. Since LED lamps have high investment costs, it is advisable to obtain LED lamps in a very big quantity through public procurement. Also the design and exact location of the lamps (including the direction of the light) is very important because this can temper an important disadvantage of LED lighting: LED lights do not emit light in all directions (as conventional lights do) which can reduce the comfort level of its users. Implementation is not difficult (especially for the replacement of more efficient fluo lights). However the organisational impact of switching to LED lights can be quite high. The variance in quality makes the selection difficult and the maintenance cycle of the lamps must be changed (but should decrease). A figure for the actual reduction in energy consumption that would be realised by investment in efficient lighting will be dependent on the individual circumstances of a station. For example, the scale of replacement and the type of efficient lighting procured. However, the overall effectiveness of this measure in terms of energy savings and CO2 reductions is estimated as high because replacing lamps is quite easy so with relatively little investment (in time and money), larger reductions in energy usage can be achieved large scale replacements to more efficient types of lighting.